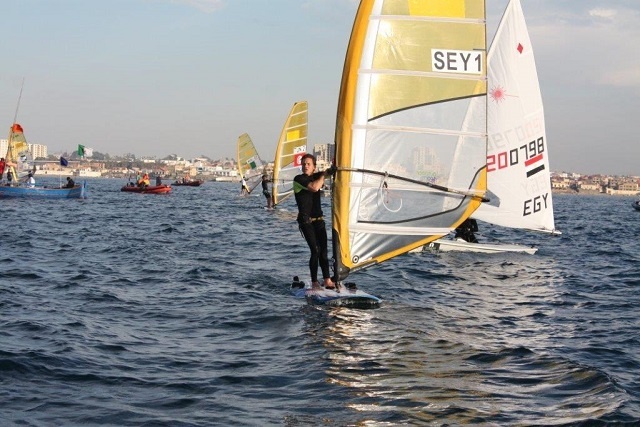 (Seychelles News Agency) - Two sailors from the Seychelles booked their spots in next year’s Olympic Games after excellent performances in the African Sailing Championship in Algeria. Rodney Govinden finished second in the laser standard category and Jean-Marc Gardette took the third spot in the RSX windsurfing last Friday. “My first reaction was ‘Wow!’ I was really happy because a second place means I qualify for Rio and improves the result I had in the All Africa Games in 2011,” a proud Govinden said Sunday in an interview with SNA. Gardette could barely contain his joy. “It’s my first time and I am so happy I did it,” he told SNA. The two sailors are the first athletes from the Seychelles, a nation of islands in the Western Indian Ocean, to qualify for the 2016 Olympic Games taking place in Rio de Janeiro, Brazil. To qualify, Govinden and Gardette had to finish in the top two places in the African Sailing championship held in Algeria from December 5-11. “Competition was really tough and we were competing against countries like Angola, Egypt and Algeria. They took us by surprise at the beginning when the wind was low. We were able to stay calm and perform well in those tough conditions,” describes Govinden. 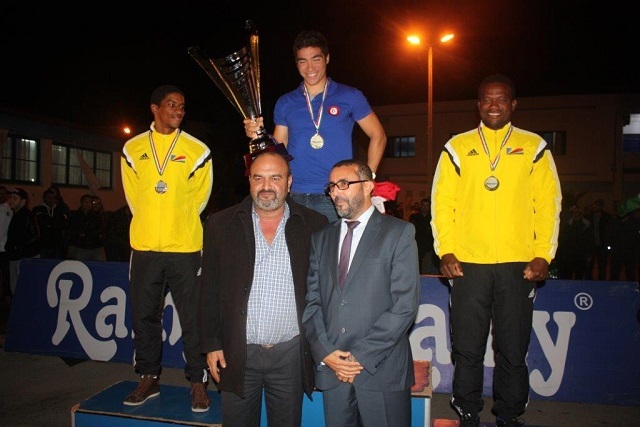 He won second place among 10 contenders which included fellow Seychellois and former Olympian Allan Julie. Gardette believes that the hard training he went through had prepared him for the competition. “I have been windsurfing since I was 16 years old but this competition was really different. I was able to go for training in Italy and I was able to get use to the board and surfing they use for the competition,” he said. The Seychellois windsurfer finished third behind two Algerians, but earned his Olympic ticket since a country can have only one sailor per category. According to the two Seychellois sailors, their strong performances can be credited to their intensive training a month before the competition. Govinden, who was on an Olympic Solidarity scholarship, trained at SailCoach in Malta. Gardette trained in Piombino, a town in the province of Livorno, Italy, with a former Olympian-turned-coach. Though great news for Seychelles, next year won’t be the first time the island nation has sent sailors to the Olympics. Seychellois sailors have qualified for the Olympic Games since the 2000 edition in Sydney, Australia. There are seven more Seychellois athletes vying for a place in the 2016 Games, including high jumper Lisa Labiche. Labiche needs to clear 1.94 metres, the qualifying height, at a competition. She cleared 1.91 metres in the All Africa Games in Brazzaville, Congo in September. Saut en hauteur - Labiche offre aux Seychelles une deuxième médaille d’or aux Jeux de la Francophonie en Côte d’Ivoire.